But you’ve got to get beyond new year’s resolutions. 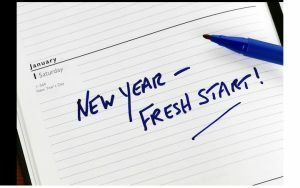 It’s estimated that only 8% of people actually carry their resolutions through into action. Here is a simple way to actually make this year better, to change. Invite the Holy Spirit to guide your thinking. Ask for wisdom to review last year, and guidance for the new year. Some things need to be put off – stopped. Some things need to be put on – started. You must abandon the myth you can just keep adding, that you can do it all. You may have to stop some things. Using your calendar, think through last year and this year. Journal your thoughts, and commit your plans to your calendar. There are other personal planning systems that are more detailed and complicated. I suggest you start with something simple, that has a maximum “return on investment” for your time. Something as simple as this blog. Add detail when you master these basics. Without intentionality to actually shift things, the new year will likely be much like last year. It does not have to be!